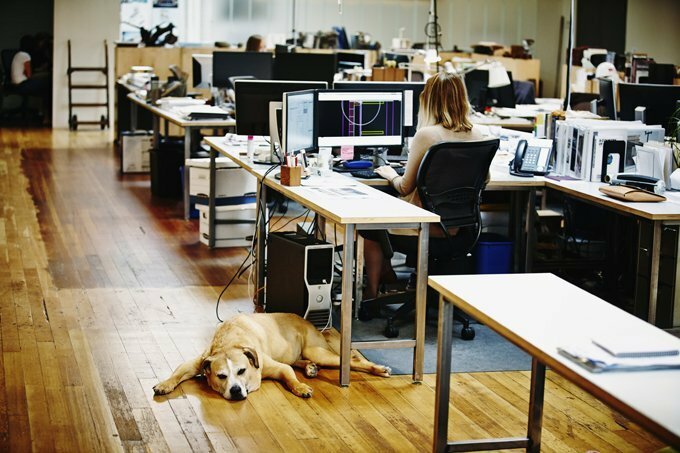 Take your dog to work day (June 23rd 2017) is quickly approaching, AKA Take Your Dog To Work Day. I have been fortunate enough to be in office environments that have allowed me to take my pup to work, but I know not everyone has that luxury. If your boss allows it (and the rest of your coworkers are comfortable with it), you should definitely bring Fido to work come the 26th! Just be sure to be courteous to everyone in your office. 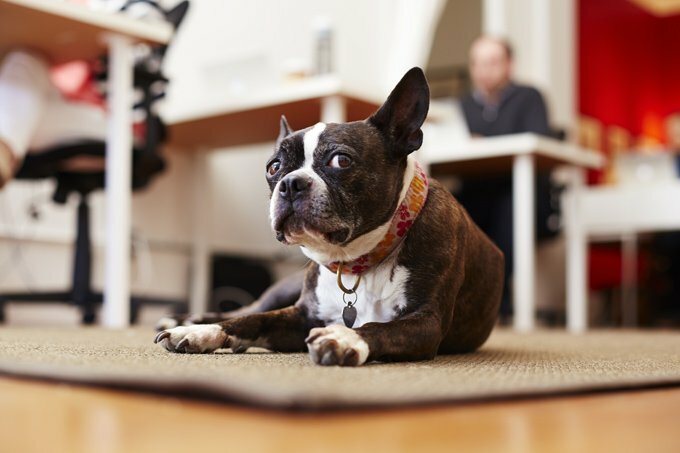 If this year’s “Take Your Dog To Work Day” goes smoothly at your office, maybe you should hold a staff meeting to discuss the benefits of making every day Take Your Dog To Work Day. Here are some fun facts you can use to build your PowerPoint to present to your boss when pleading your case. In a 2012 study by Virginia Commonwealth University, researchers found that employees that were allowed to bring their furry BFF into work experienced lower stress levels throughout their day, reported higher levels of overall job satisfaction, and even viewed their employer in a more positive regard. So this may not be a direct quantitative study, but think about it: has there ever been a time when you saw someone with a dog and didn’t already feel a stronger connection to them than you would if they didn’t have a dog? 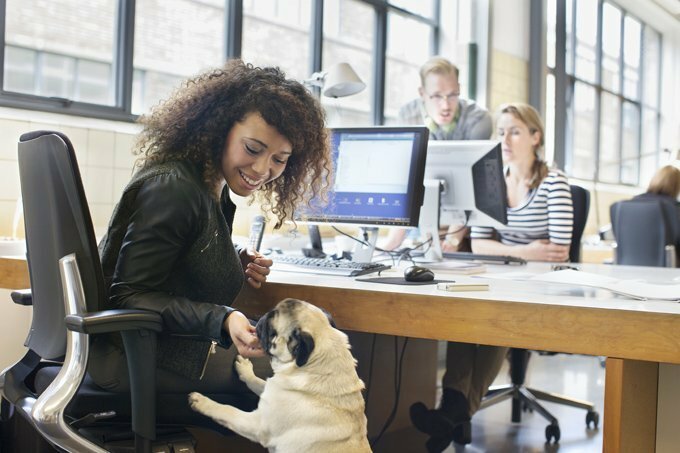 Having dogs in the office is a nice way to build bonds between coworkers, which could lead to better teamwork and productivity. 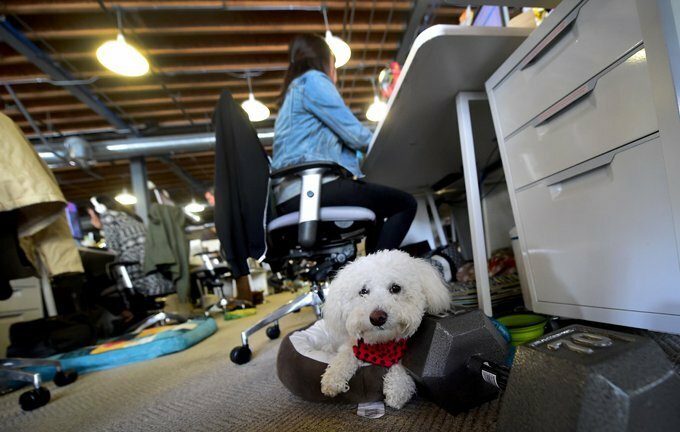 In the same survey that showed employees would work more hours in a dog-friendly office, employees also stated that they believed pups helped boost creativity and teamwork. If your employer doesn’t offer the best health insurance, tell them what a positive difference having dogs in the office would have for everyone’s health. Dogs have surprising ways of keeping their owners healthy so why not spread the healthy joy to the work place? 5. Everyone Else Is Doing It! OK, again, may not be the most scientific evidence, but a lot of profitable companies are allowing dogs in the workplace. 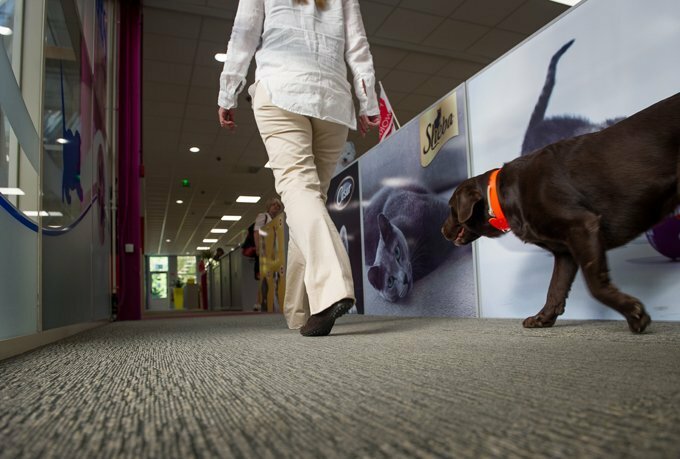 Google, Ben & Jerry’s, Build-A-Bear Workshop, and Amazon are just a few of the big players that allow employees to bring their dogs to work. I mean hey, part of the reason these are multi-billion dollar companies is because of the dog-friendly office environment, right? Right! We here at DogTime hope everyone has a wonderful Take Your Dog To Work Day this year. Just be sure to have a plan if you are bringing Fido in for the first time and to make sure your pup is on his or her best behavior. Pay attention to your pup, make sure your pup gets lots of walks, and take time to introduce your pup to your coworkers to spread those health benefits around. 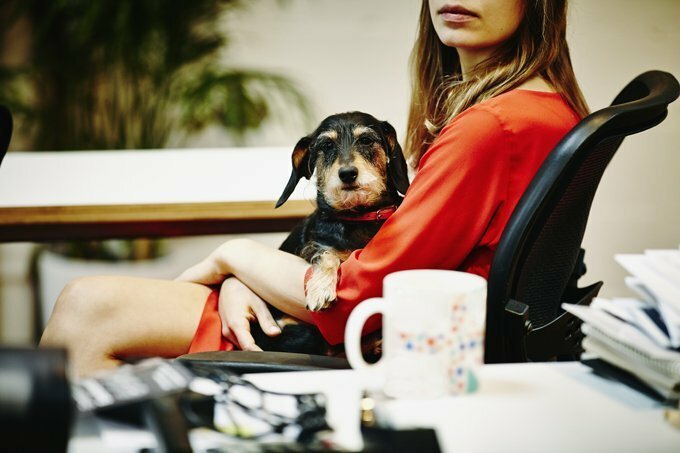 If your boss takes a liking to your pup, it may not be too hard to convince him or her with these facts and a couple of tail wags to make your office dog-friendly 365 days of the year.